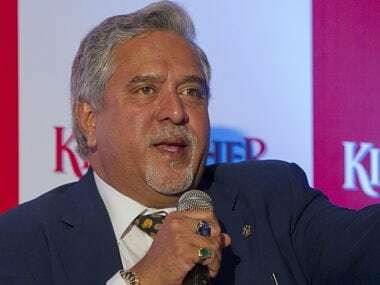 London: Calling Prime Minister Narendra Modi an “eloquent speaker”, absconding liquor baron Vijay Mallya on Thursday asked as to why the Prime Minister was not instructing the banks to take the money he had made available to pay off the public funds lent to Kingfisher. On 4 February, the UK Home Office has signed an order approving the extradition of Mallya to India. “Following on from my earlier tweet, I respectfully ask why the Prime Minister is not instructing his Banks to take the money I have put on the table so he can at least claim credit for full recovery of public funds lent to Kingfisher,” he said in a series of tweets. The reaction from Mallya came after Prime Minister Modi in his last Parliament speech, that was delivered on Wednesday, referred to an unnamed person who “ran away” with Rs 9,000 crore. The fugitive liquor baron further claimed that he has made the offer to settle the matter before the Karnataka High Court. In August 2016, the CBI had registered a fresh case against Mallya for alleged irregularities in the repayment of Rs 1,600 crore loan he had taken from the State Bank of India. A PMLA offence was registered against Mallya and investigated after the Central Bureau of Investigation registered a case against him under Sections 13 (2) and 13 (1)(D) of the Prevention of Corruption Act read with Section 120 B, 420 and 409 of Indian Penal Code (IPC) on the complaint of the consortium of banks led by the SBI. The efforts made to seek extradition of Mallya have got a major boost with the UK Home Office signing an order approving his extradition to India. “On 3 February, the Secretary of State, having carefully considered all relevant matters, signed the order for Vijay Mallya’s extradition to India,” said the UK Home Office spokesperson. On 2 January, Mallya became the first person to be declared a fugitive offender under the Fugitive Economic Offenders Act. A major breakthrough was achieved on 10 December last year when the Westminster Magistrate’s Court found merit in the charges registered against Mallya in India and approved his extradition. The matter was then posted to the UK’s Secretary of State for confirmation.